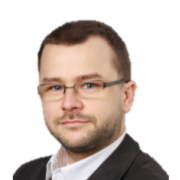 Paweł is Professional Scrum Trainer, Agile Coach, Scrum Master and Software Craftsman who started his software development journey about 25 years ago. In his career, Paweł was a hobby programmer, researcher, lecturer, Software Developer, Configuration Manager, Scrum Master and Agile Coach. He received his Phd. in Computer Science from AGH-UST in Krakow (Poland) and UTBM in Belfort (France) and gained his professional experience working at Universities and with 10000+ size companies. He is an advocate of a holistic approach to Agility through incorporating every aspect of software creation. The roles he played allowed him to gain experience in servant-leadership, software engineering, and delivery. He coaches and mentors organizations, teams and individuals in self-organization, empirical approach and technical excellence. He contributes to agile communities by active participation at meetups and conferences and was also involved in organizing Scrum Days Poland.